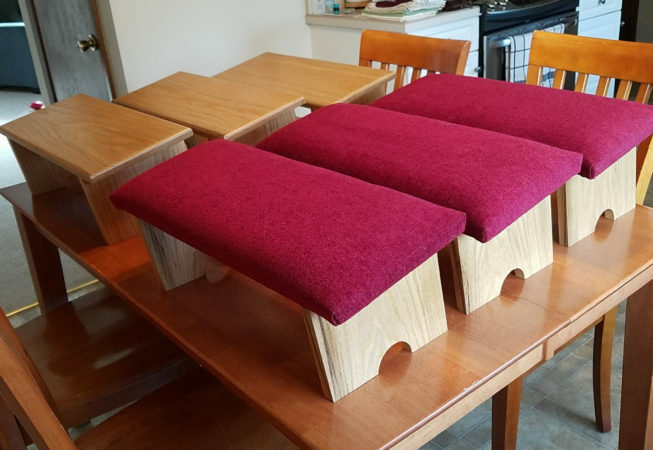 These benches were commissioned by the Church of the Ascension and Saint Agnes in Washington, DC for use during their contemplative Sunday evening service. 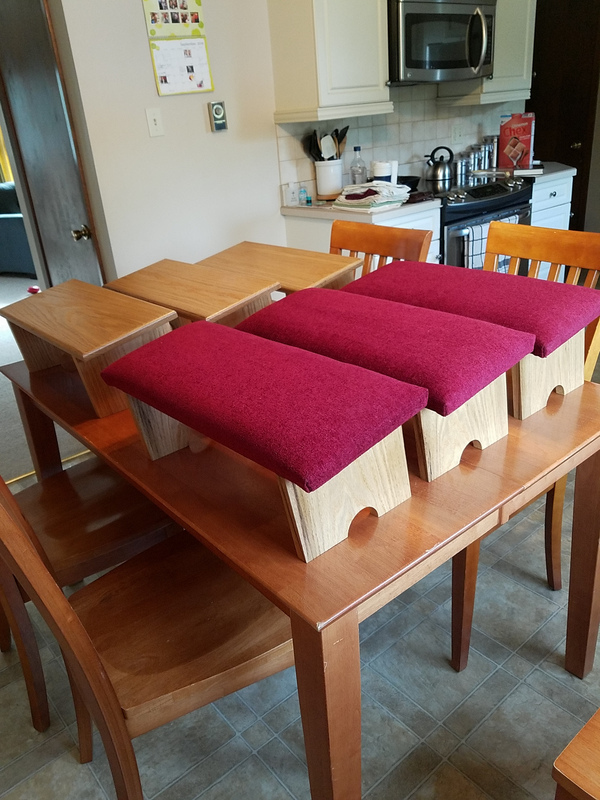 Based on a bench that was made for the priest-in-charge by another woodworker years ago, the benches allow you to sit while kneeling, taking pressure off the spine and allowing you to kneel for extended periods of time. Upholstery by Kipe’s Upholstery Shop.